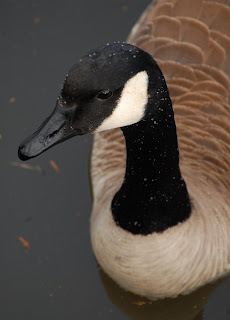 This common and delicious creature is a Canada Goose. I recall seeing a pair in Germany, and was not mistaken, as there is an introduced population covering a number of parts of Europe. Somehow they found their way to New Zealand as well.